From the moment you step on our lot until the time you drive away in your next car, your buying experience with Cars On The Money is our number one priority. We encourage you to use the expertise and resources of our sales staff; they are here to help you find the right car at the right price. Call us today at 402-210-8700 to schedule your test drive! 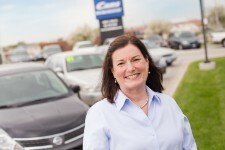 Cars on the Money is a family owned and operated business. We have a friendly, dedicated staff motivated to help you find the right vehicle for your needs without pursuing you into a sale. your satisfaction is important to us, and we will work hard to gain your trust and business. we want you to walk away feeling happy and confident, that you made the right purchase. 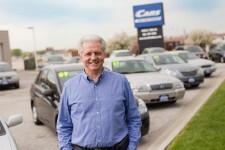 Doyle Zimmerman is a 40 year veteran of the automotive industry. He has been a car buyer for many years and takes great pride in making sure our hand selected inventory is of the highest quality available. 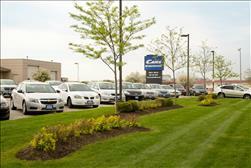 His goal is to provide reliable, quality automobiles to our customers at an affordable price. Diane is the glue that holds us all together. A mother of 4 she keeps us all in line. If she is not working hard in the back office then she is usually hanging out with one of her grandkids.